Here at Cottam Heating & Air Conditioning, we believe in equipping the homeowner with as much information as we can! We want to help you make the best decision. We talk a lot about choosing a contractor because it is the #1 most important factor in purchasing a new Air Conditioner or Furnace. This PDF can be printed and be used when a Comfort Advisor comes to your home. Thanks to our friends at Airwest Air Conditioning and Heating for this checklist! Here are the 5 biggest misconceptions when buying new HVAC equipment! When we visit homes to discuss new HVAC equipment 80% of homeowners first concerns are the name brand of equipment they are purchasing. However, the reality is that many brands of furnace, air conditioners and heat pumps are manufactured by the same companies. The major difference in performance will come from WHO conducts the installation. The company you chose to install your equipment is the more important variable in your decision! Your system will operate best when each component is properly sized and tailored for your home. Oversized equipment may cycle on and off more frequently which can dramatically shorten the life of your equipment. When you buy new heating and cooling equipment, you need someone who will take measurements of your home and do calculations to determine the appropriate size for your air conditioner or furnace. Ducts circulate air from the furnace, central air conditioner, or heat pump throughout the house. Often times ducts have damage that leak the hot or cold air and waste a lot of energy. Sealing ducts can greatly improve the efficiency of your heating and cooling system. A general rule of thumb is duct leakage should be more more than 20%. Your equipment may be powerful enough, but you might experience a dip in performance due to leakage. Air flow and duct work design need to be considered at the time of replacing equipment, especially if the performance of the old equipment was not optimum. To operate well, a heating or cooling system needs to have the proper volume of air flow. If air flow is too high or too low, the system may not heat or cool evenly. An improperly charged system may consume more energy and provide dehumidification. It is important for an air conditioner or heat pump to have the correct amount of refrigerant. Once the refrigerant level is corrected, properly working A/Cs do not need to be re-charged every year. If you continue to need to add refrigerant, there is most likely a leak that must be repaired. If you have any additional misconceptions that you need corrected, please give us a call at 718-885-3328 or visit us at http://www.cottamhvac.com. We pride ourselves on being the premier HVAC specialists in and around City Island! Stay cool this summer with these 5 tips! It is warm out and knowing New York, who knows how long this heatwave will last! When heatwaves sweep the country, you must be careful not to overheat! So instead of staying inside of your nice, air conditioned home, here are 5 unique ways to stay cool while outside this summer! Stock up on frozen treats! – What you eat and drink can help you feel cooler. And your frozen treats don’t have to be full of sugar. Try chopping up fruit like (watermelon and pineapple) and freezing them in a bag. Bring them to your picnic and enjoy cooling off by eating tasty and healthy snacks. Create a personal air conditioner! – If you’re outside this summer at a party or barbeque and are feeling a little warm, here’s a trick to create your own personal air conditioner. 1. Fill a cup all the way to the top with ice cubes. 2. Hold the cup to your face and blow into it. Start a water balloon fight! If all else fails, bring out the water balloons. For most, that is easy and comes naturally (just buy a bunch of balloons, fill them with water and sling them at people who look like they need to cool off). What other ways did you stay cool this summer?! Share with us! 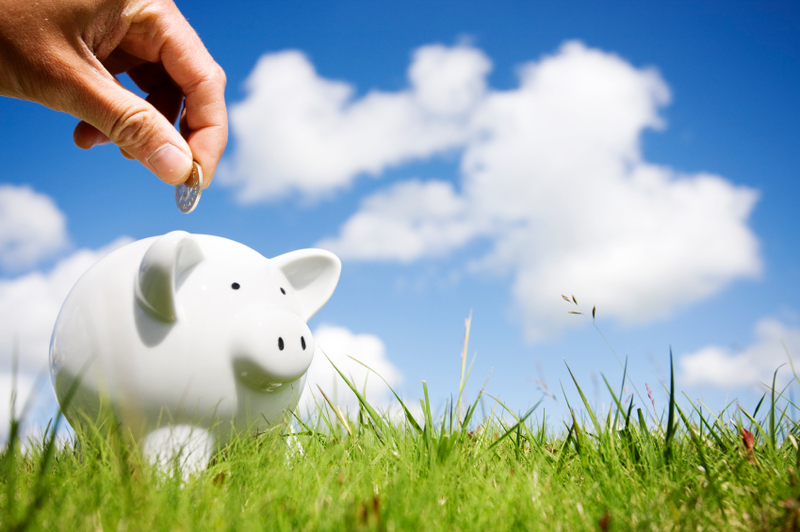 23 ways to save MORE money! Now it’s easy to say you should save money, but without any concrete plan, the likelihood of it happening is very slim. You need to have concrete goals and measures in place to ensure that you follow the correct path towards saving for the future. After all, what happens if an emergency pops up? Or you lose your job? What will you do then? That’s why it’s so important to save. Write it all down – If you don’t keep track of your spending, how on earth will you ever be able to save? You need to “cut out the fat,” and the only way to do this is to actually look at what you are spending your money on. Each month you should take a look at all of your expenses (cash, credit, etc.) and add them up into separate categories. Then look at those categories to see where your problems lie so you can stop the bleeding. Think before you act – Impulse purchases can really take a huge chunk out of any budget. Worst of all, these types of purchases are usually things that we do not need. Before making any impulse purchase, think it over for a full 24 hours. This time delay will help you calm your thoughts and think rationally. Once it’s over, you will probably refrain from the purchase altogether. Break everything down by the hour – When you are thinking about buying something, figure out how many hours you would have to work to earn it. For example, if you want to buy a $100 shirt and only make $10 per hour, that’s 10 hours’ worth of work! Is it really worth it? Shop with a plan – Always make a list before you go grocery shopping and stick to it. Going into the store with no list at all means you’ll wander around and pick up everything in sight that tickles your fancy, leaving you with a cart filled with impulse purchases. Keep it simple by staying short-term – Sure, you want to save money for the future, but you have to do it in the most practical way possible. Long term goals, such as “I want to save $2,000 over the next year” are harder to achieve, mostly because they seem so far away. Keep it simple instead and keep weekly or monthly goals that are more achievable. Stay in for lunch – Having coworkers that love to go out to eat for lunch can be a big blow to your budget. Sure, it may be fun (and tasty) to go out for lunch, but try to avoid it. Bring your own lunch and if you have to go out, limit it to just once a week. Control your happy hours – Sticking with the theme of coworkers that like to go out, it’s okay to say no to those happy hour invites after work. Once a week is fine, but doing it too often will not only affect your bank account, it will also affect your health. Besides, who wants to go into work the next day with a nasty hangover? Buy online when possible – It’s no secret that shopping on the internet has become huge nowadays. Not only it is extremely convenient, but it’s often a lot cheaper than buying at your local retail store. Internet retailers often have less overhead costs, and this allows them to pass on the savings to you. If you are about to make a purchase, regardless of what it is, do an online search first. You may find that you’re better off buying that way. Invest in a programmable thermostat – You may love having your AC on blast when you’re at home, but it’s not necessary when you are gone. You can save a lot on your energy bill by installing a programmable thermostat that will keep the temperature higher while you’re away, but nice and cool as soon as you walk in the door. Say no to overdraft – Many debit cards now offer overdraft protection that allows you to spend more than you actually have. Bad idea! Simply put – if you don’t have it, don’t spend it. Banks will definitely ask if you want this feature (if they haven’t done so already), so when they do, just say no. Keep reading because there are many more tips to save money on gas and other necessities. Inflate those tires – Riding around with underinflated tires can increase gasoline consumption. You can inflate you car’s tires at most gas stations for under a dollar, and it only takes about five minutes to accomplish. Use apps to shop for gas – There are tons of apps on the market that will help you find the cheapest gas station in your area. Look for them on your smartphone so you can have this handy information on the go. Use public transit – Take the bus or local train when possible. This form of transportation isn’t just for people without a car, it’s for people who don’t want to pay those ridiculous gas prices as well. Besides, since you won’t have to focus on driving, you can get some reading done or get a jump on work during the ride. Hate the dentist? Tough! – Nobody likes going to the dentist, but it’s absolutely necessary. The last thing you want to happen is to need major dental work done from not doing routine maintenance. Crowns, root canals, and the like can get extremely expensive, so avoid them by going to the dentist regularly for those nagging little visits. Go generic over brand-name for your medicine – Have you ever looked at the difference in price between generic drugs and their brand-name counterparts? It can get quite substantial. When shopping for over-the-counter medicine in the store, always opt for the generic version. The same holds true with prescriptions from your physician. Always ask for the cheaper option, as the health effects will be virtually the same. Stick to this and you will save a ton of money over the course of a year. Use your employer’s perks – Many companies offer discount programs for their employees as an added perk. Take a trip to your HR department and ask if the company you work for has any such programs in place. If so, you could find yourself saving money on things like gym memberships, electronics, and much more. Live closer to work – Finding a place to live that’s right next to your office may be tough, but at least try to cut down your daily commute as much as possible. Not only does a long commute result in higher spending on gas, but it also means more stress as you try to fight traffic each and every day. With homes, buy what you need – It may be the American dream to own a nice big house, but do you really need it? A bigger house means more expenses and more maintenance. Keep this in mind when house hunting so you don’t jump into something you really can’t afford. Raise your insurance deductibles – You can cut your annual premiums by electing to pay more on a claim. So, instead of having a $250 deductible, raise it to $500 or $1000. Cut the dry cleaners – The dry cleaners can come in handy when you need some clothing items handled professionally, but your entire wardrobe doesn’t require such care, does it? Iron your own clothes with a nifty home steamer. They’re inexpensive and can get the job done in a hurry, unlike the clunky conventional irons you’re used to. Review your cable bill – It’s highly likely that you do not watch all the channels offered in your cable plan. In fact, you may be so busy that you don’t even watch TV. Many people are cutting cable and opting for cheaper on-demand services like Netflix for their entertainment needs. You should consider doing the same. Hold on to that loose change – Loose change that you get after each cash purchase can really add up over time. Don’t be ashamed to have a change jar or even a piggy bank to drop your loose change into at the end of each day. You’d be surprised at just how much you can accumulate. Don’t take that change for granted either by tossing it out every chance you get simply because you don’t like holding it. Stop being Santa – Gifts are a great way to show your appreciation for someone, but giving them to every single person you know is overkill. You don’t have to be a total Scrooge, but limit the gift-giving to family members and really close friends. There are many more ways to cut spending and save money for the future, but this list is a good place to start. Practice these tips and you should see more money in your bank account at the end of each month. Remember, your future’s at stake!